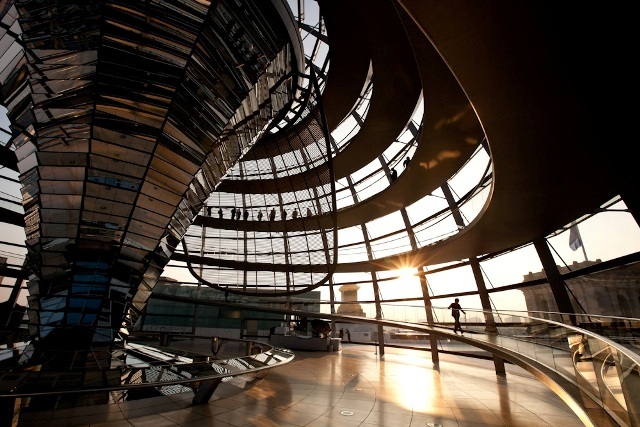 This photograph was taken on my last morning on assignment in Berlin, and I just had time to visit the Reichstag before heading to the airport. I booked myself into the first group so that I could shoot Norman Foster’s spectacular dome before anyone started climbing the spiral walkways to the top. Then I stayed at the bottom, shooting as people started to climb, and silhouetting them against the early morning sunshine. When one person abandoned the climb and started coming back down early, they gave a pleasing focal point to the image, framed alone in a glass panel. Jonathan Perugia, a member of The WideAngle network, is a travel, commercial and reportage photographer who shoots for editorial, corporate and NGO clients worldwide. Keen to seemore images taken by The WideAngle photographers? Please click here.